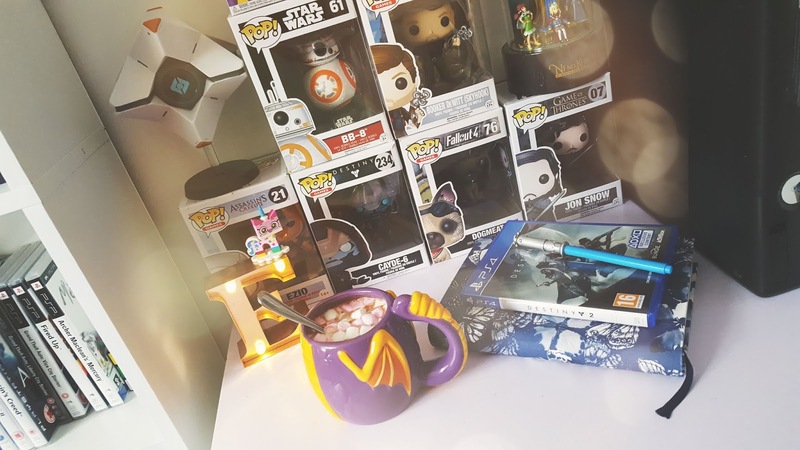 I have a very mixed Valentine gift guide, it can be for any gender because let's face it people shouldn't have to have separate gift guide for either gender not when more and more people enjoy things that are meant to be for a certain gender so let's smash those stereotypes and enjoy whatever the hell you want. Valentine's day is a huge gimmick I know but that doesn't mean people shouldn't be allowed to enjoy spoiling one another. I for one don't celebrate it but my anniversary is the day after and I do celebrate that. This gift guide is based on my own ideas, you don't have to follow it but if I inspire you with any of these gifts please let me know! *Some products were sent to me for free, all opinions are my own for more info please check out my contact & disclaimer. These have been following me for a fair few months on twitter now and that's how I discovered them, they are a photo printing company who I have been lucky to work with on this post, *Printiki is a mixture of two things one being print and the other word "iki" has a Japanese origin which basically is an expression of simplicity, sophistication, spontaneity, and originality. I love how unique and well thought out the company name is, I feel like it gives it a lovely edge which makes it a lot more appealing to me. 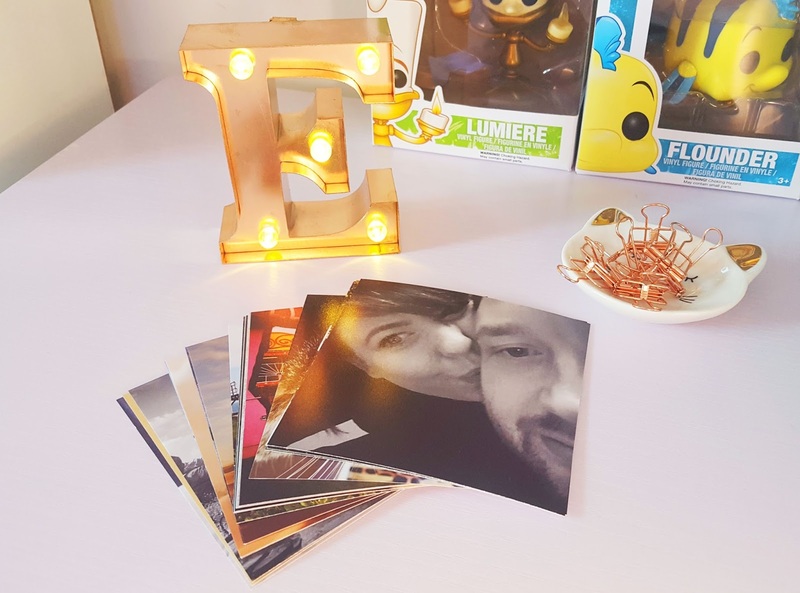 They have a variety of different photograph styles you can choose from and sizes and even give inspiration on how you can show your prints off in your own home. I chose the Square M (4x4") photos in matte, I always go for glossy photos when I get them printed so I thought I would make a change and get matte, you can buy 20 of these images for £5.50 which is very reasonable in terms of how much other places charge for photos. 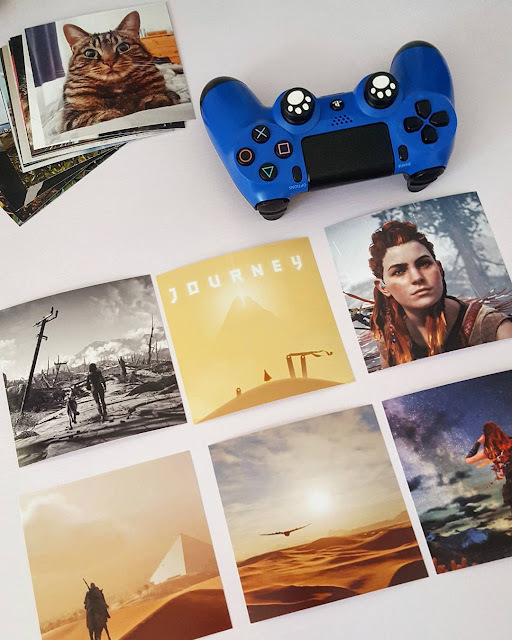 The more prints you buy the more you can save with them, so if you buy 50 over a period of time or all in one go you will get 10% off of your next order, the website also acts as storage for your photos and will keep them saved on your account in case you wish to print out more. If you head on over o their Instagram you will find some wonderful inspiration from other customers. I chose a number of my favourite pictures to be printed by them, they turned out gorgeous! Who wouldn't like memories of all the times of you and your partner together as a gift because I personally find it very sweet. I'm a sucker for anything romantic, especially when it comes to things in my own life so when I came across LoveBook I knew I had to feature it in this post. LoveBook started as a simple idea with a handmade notebook listing the reasons why a guy loved his wife, it became a hit and that's when LoveBook first came about. It's amazing how something so sweet and simple can blossom into a huge and successful company helping people show their love for one another. 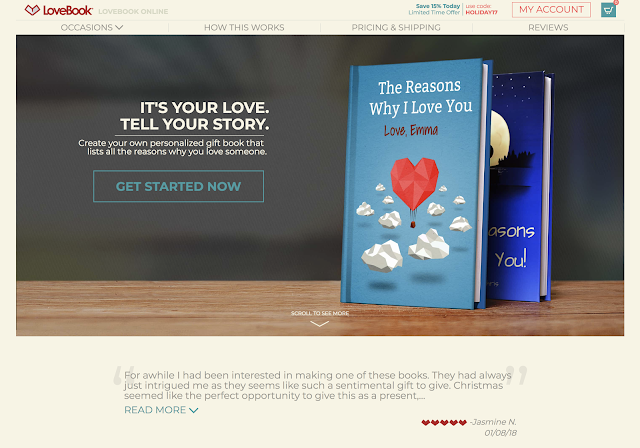 Because the book is customised you have to go through a process where you customise how you and your partner will look, bare in mind you're going to be a cute little stick figure then it will ask you to register and move on to your relationship type and occasion type. I think that if I was doing this process I would choose spouse romantic for relationship type and anniversary for occasion type. then it shows you the prices which aren't too bad and on offer right now: Hardcover £31.50 (RRP £37.05) and Softcover: £28.35 (RRP £33.35). Then you choose the cover you want and from there go on to personalise the pages of the book, they already come with suggestions so if your mind goes blank you can use what they suggested. If I was to ever receive one of these I would cherish it, it's something you can hold on to for years and years and even give to your loved one as a wedding gift. 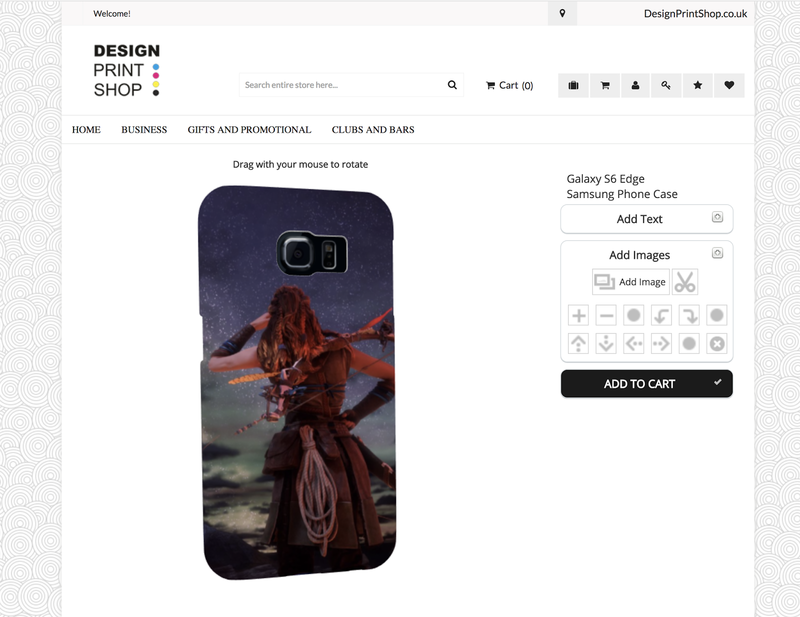 If you're looking for a personalised phone case for your loved one then *Design Print shop who is a very affordable company to get personalised accessories for any occasion, what I find great about them is that 100% of their suppliers and network are within the UK which is great for the UK economy. 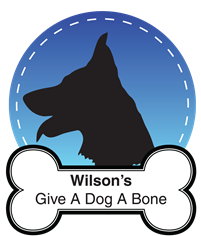 Their products vary from Business to personal and have a number of different products you can customise such as pet accessories, phone cases and bags and cases etc. The website was easy as anything to use which is a huge thumbs up in my book, all I had to do was choose the phone case I wanted which is a Samsung Galaxy S6 then click on personalise, this allowed me to add an image and text or either on their own. I went for a picture of Aloy that I screenshot on my PS4. 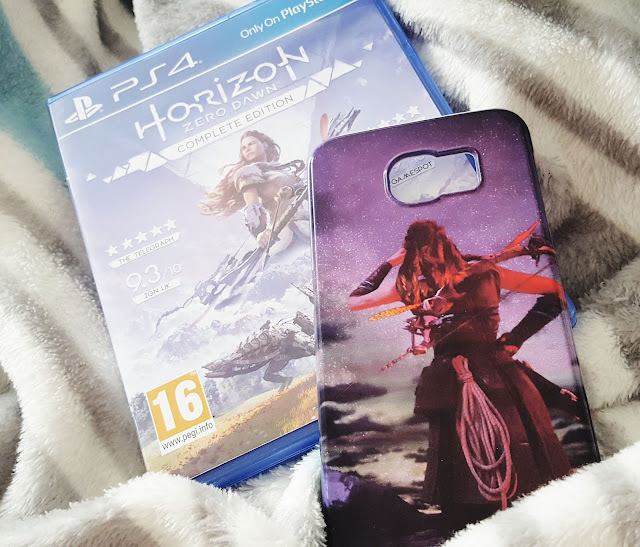 My phone case arrived within a few days of ordering it which was really fast, I'm impressed. Having something personalised like this would make a wonderful present, I feel a lot of people focus on expensive gifts when in reality the most simple and thoughtful gifts to me are the ones I love the most. I'm very happy with my phone case it's made out of a strong plastic and fits perfectly on my phone before I was using a silicone case and it has gone the most horrid yellow colour which is a shame. If a phone case is not the kind of gift you would personally want to go for why not check out their cushions that you can personalise, there is nothing more lovely than snuggling up to a cushion that is personalised with something to do with your loved one on when they are miles away. 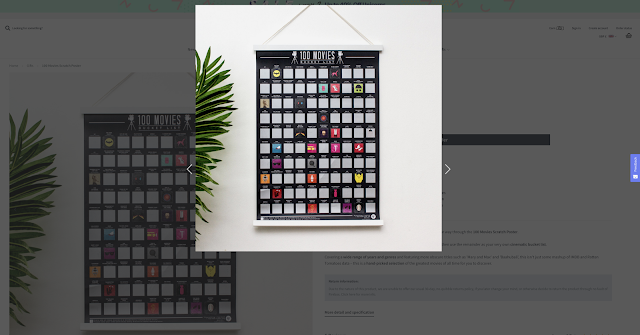 If you're thinking of ordering from Design Print Shop, why not take advantage of my 15% discount code for my readers "DSP-Elle-15" it expires 28th of Feb so use it whilst you can! This is one of the cheesiest gifts I'm adding to the list, I know a lot of people did this back in the day and still do with CDs but for me, I never had anyone do anything like this for me and I would always wish a guy would. I know that sounds silly but did you ever watch a TV show or movie where they would get so excited when someone made them a mixtape of all the songs that reminded them of that person or the songs they love which they think you may love? It's just such a really lovely gesture and thoughtful in my eyes. 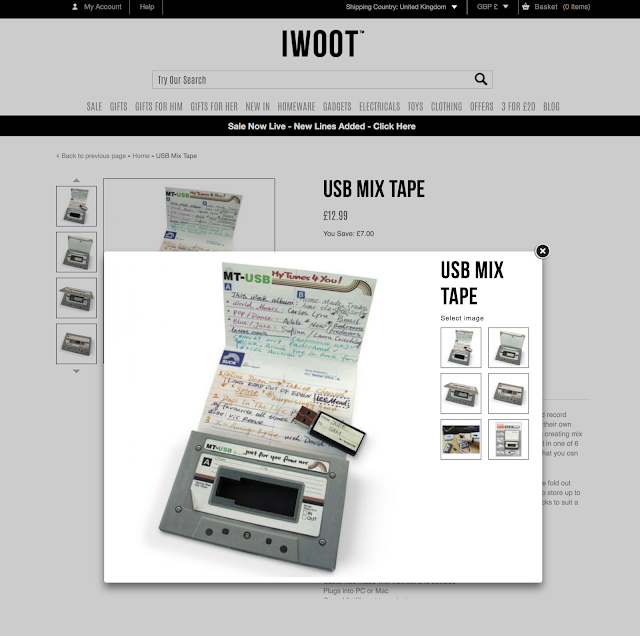 The cool thing about it is it comes inside an actual tape which you can open up and write down all the songs you have added to the USB Mix Tape, the USB can store up to 900 minutes of music too. Last but not least this is something both you and your partner can do together, a gift that will be great for movie lovers like me! It's out of stock right now but should be back in stock for January 23rd which is plenty of time for it to arrive for valentines day and it's available for pre-order. This poster has 100 movies to pick and scratch off so when you're bored and don't know what to watch you simply pick one from the poster scratch it and if you've seen it pick another. I don't know about anyone else but James and I spend ages choosing a movie then don't end up watching one at all and I love movie night it's a favourite past time of mine that I'm always excited to sit and do whether it's at home or in the cinema. I think a gift like this is thoughtful and helps you as a couple spend more time with one another, you could make valentines nigh the first night to pick your movie fro the poster! Batch 17 | Coming Soon to Steam!